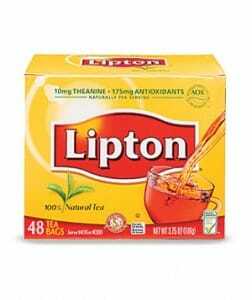 I was just randomly going through old posts and noticed that Lipton changed their tab name. When I tried requesting a free sample, it let me again, so it looks like this one has reset 🙂 Click here to visit the Lipton facebook and like them. Then on the “Liptagram Samples” tab, fill out the easy form to request your free samples. Allow 6-8 weeks for delivery according to their facebook. Woohoo! It’s a reset They’re sending me another one!